Dusty deep purple color. Confected aromas and flavors of bubblegum, basil flower, heather, honey, pickled plum, and ripe melon with a slightly chewy, crisp, fruity medium body and a polished, engaging, medium-length finish with notes of raspberry red vines, spearmint, lemon bar, and ginger-cinnamon tisane with chewy tannins and no oak flavor. A totally unique Zinfandel to share with friends. 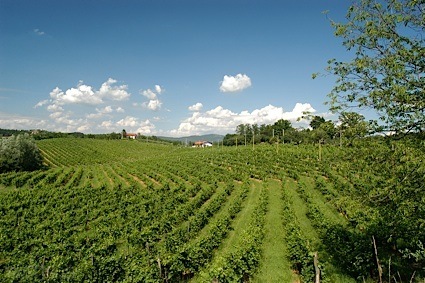 Bottom Line: A totally unique Zinfandel to share with friends. 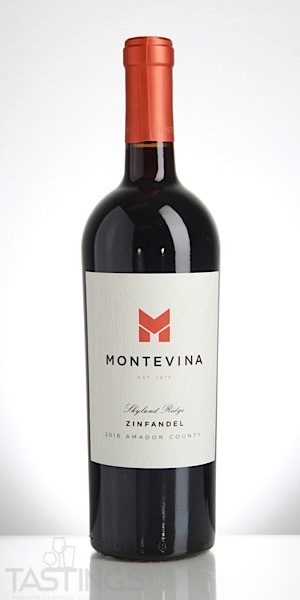 Montevina 2016 Skyland Ridge, Zinfandel, Amador County rating was calculated by tastings.com to be 88 points out of 100 on 9/6/2018. Please note that MSRP may have changed since the date of our review.